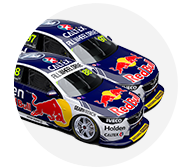 Triple Eight has been fined $5,000 and docked 30 Supercars teams' championship points for its Jamie Whincup/Paul Dumbrell Commodore losing a wheel in the Supercheap Auto Bathurst 1000. The #1 Red Bull Holden Racing Team Commodore was running in second place on lap 40, having pitted for new tyres five laps earlier. Its right-front wheel parted company with the ZB on the main straight, firing down the escape road and eventually coming to a halt in the gravel trap. 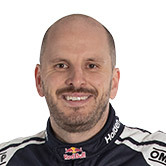 Dumbrell drove back to the pits on three wheels, the car losing nearly two laps before eventually getting back on the lead lap and finishing 10th. A stewards report noted Triple Eight admitted fault for the wheel not being 'adequately tightened' in issuing the sanctions. It read: "Following a post-race DRD investigation and an admission by Triple Eight Race Engineering Pty Ltd of a breach of Rule A4.4 (Each Competitor is responsible for all safety aspects of the Team including that Competitor’s Car, namely the Team admitted it failed to adequately tighten the wheel on Car #1 at its pit stop before the wheel departed the Car on Lap 38) the Stewards imposed the penalty of a fine of $5000 and the Loss of 30 Teams Championship Points on Triple Eight Race Engineering Pty Ltd."
The Red Bull Holdens had pitted together on lap 35, with Dumbrell ahead of Earl Bamber in a double-stack scenario under Safety Car conditions. Triple Eight boss Roland Dane said the cause for the wheel nut coming off was not immediately clear, but noted the pressure of the double-stack might have been a factor. "Why it came off I'm not 100 percent sure, whether it was a wheel clip failure, but at the end of the day it came off probably because it wasn't tightened for some reason," Dane said. "The stop involved was a stacking stop, so the pressure on the guys to perform, get the car out of the way, get the tyre ready for the next car sort of thing, probably meant that maybe the wheel didn't get tightened. “It's hard to know 100 percent after the event, but there's a high chance that's what it was." 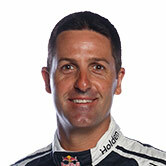 Despite the penalty, Triple Eight leaves Bathurst with a 579-point lead over DJR Team Penske in the teams' championship. Triple Eight’s penalty was the only issued post-race, with long-time leader David Reynolds/Luke Youlden and Tim Slade/Ash Walsh serving drive-throughs.